The Election Commission of India (ECI) assured the timely allocation of EVMs for the upcoming 2019 general elections. 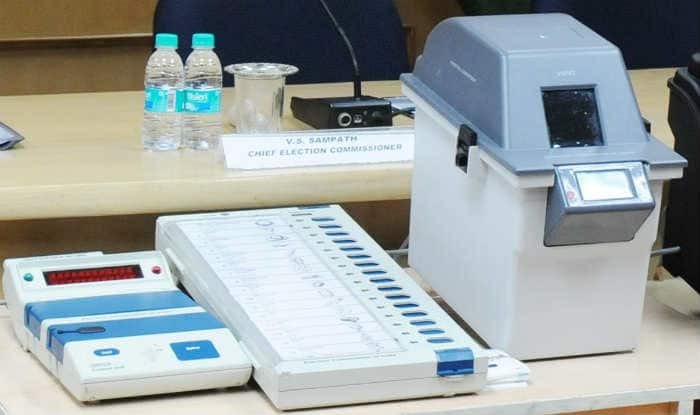 New Delhi: The Supreme Court on Monday asked the Centre and the Election Commission (EC) to direct the poll panel in order to increase the tallying of Voter-verified paper audit trail (VVPAT) to 30 per cent for the forthcoming 2019 Lok Sabha elections. The current tallying of VVPAT is a record 10 per cent. The notice was issued by a bench comprising Chief Justice Ranjan Gogoi and Justice Sanjay Krishan Kaul. Meanwhile, the Supreme Court on November 2018 rejected a plea that sought to hold the General Elections 2019 through ballot papers instead of Electronic Voting Machines (EVM). Considering the possible tampering with the EVMs, the petitioners contended that the ballot system is a more transparent medium to conduct the polling. Meanwhile, the Election Commission of India (ECI) assured the timely allocation of EVMs for the upcoming 2019 general elections. The Commission also said that it would soon ensure the allocation of the Voter Verifiable Paper Audit Trail (VVPAT) for over 10 lakh polling stations. Around 22.3 lakh ballot units, 16.3 lakh control units and nearly 17.3 lakh VVPATs would be used for the upcoming elections. Meanwhile, the status of production and supply of EVMs and VVPATs by the public sector units is consistently being reviewed by the poll panel. On September 26 2018, the poll panel had estimated a requirement of 171 per cent ballot units, 125 per cent control units and 135 per cent VVPAT requirements for the upcoming Lok Sabha Elections.